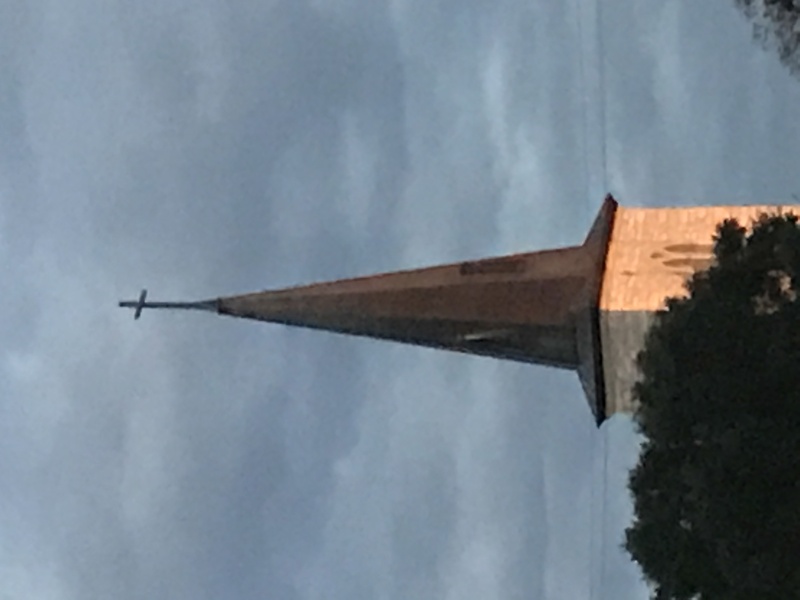 St Louis Church in Castroville, Texas December 1, 2016. Seven years in a row now, Fussy’s sense of family has been tweaked. Fussy celebrates family and the Christmas season by building with gingerbread at the Braden Keller Center next to St Louis. This year, Bop chose to remind Fussy of her genealogical ties to the Castroville founding families. Right next to the Peter Jungmann home stands the greatest Christmas tree ever. A PRICKLY PEAR CACTUS ADORNED WITH CHRISTMAS ORNAMENTS! Other areas rely on evergreens that take years to grow, just for the purpose of dying to be the centerpiece in a family home. Evergreens are cultivated to become single use decorations., destined for the compost heaps. Castroville uses what is natural to Texas, a prickly pear. This stubborn succulent grows in a bush like form all over the rugged Texas landscape. Its flat beaver tail paddles are covered with thousands of prickly spiny thorns that aggressively jump out at passers by.. It is the mother to knobs of bloody red juicy fruit which sustained the life of parched animals and settlers in the early days of Texas history. Fussy like this true evergreen, destined to give joy year after year. It’s pure Texas ingenuity to use the resources available to practice a perennial tradition. 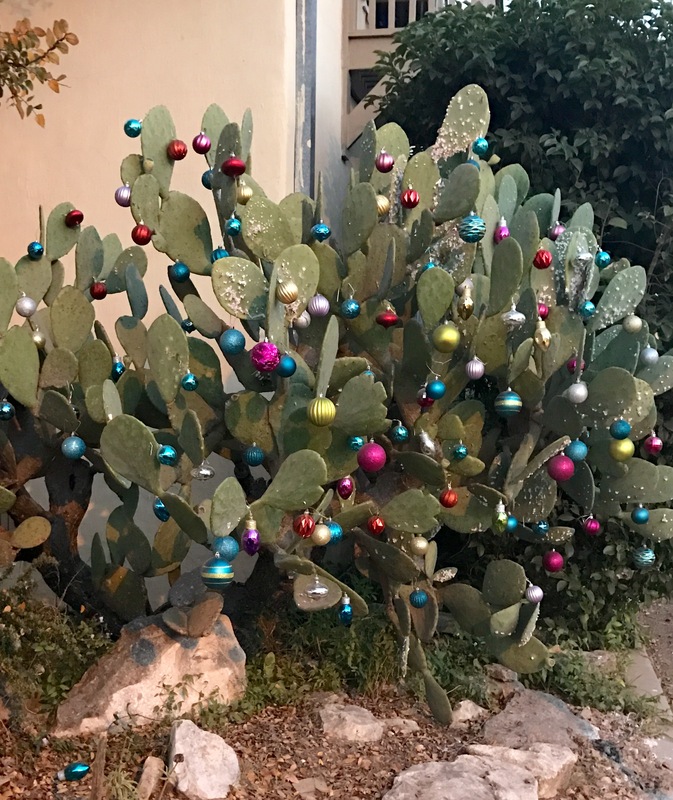 Fussy like The PRICKLY PEAR Christmas tree of Castroville.